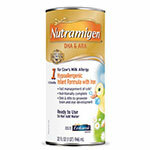 When it comes to the nutrition and overall health of your child, you want the very best for them at all stages of life. The infant stage is obviously an important time in their development and growth which requires proper nutrition to foster progress. 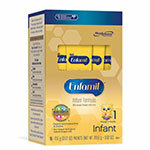 With our selection of Enfamil formula at the ready, ensure your little one gets the best start possible with options tailored to their exact needs. 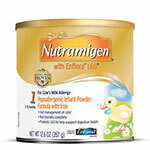 A leader in the world of baby formula since the 1950s, Enfamil has become one of the most trusted names on the market thanks to their ongoing commitment to high quality ingredients and overall nutritional impact. With a focus on quality and total nutrition tailored to address specific concerns, many parents have turned to this brand for mealtime for their babies. 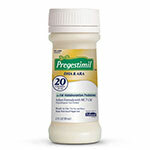 Our inventory is a prime example of the versatility Enfamil has to offer. For instance, when looking to address acid reflux in infants, their formula for this concern boasts the title of being the top option to reduce spit up while providing a balanced nutritional experience. 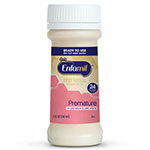 When looking for a formula specifically formulated for premature babies, Enfamil offers preemie formulas with the extra vitamins and nutrients they need to grow stronger and bigger. 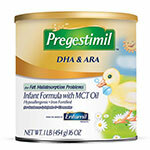 In fact, their brand is clinically proven to help babies catch up to their non-premature counterparts at a faster rate. Whether you need a specialized formula or just one with an all-around nutritional value for your little one, this brand has you covered. 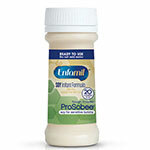 With a focus on prebiotic blends for digestive health and recommended levels of DHA and ARA to support baby's brain and eye development, the formulas offered in this inventory give the peace of mind parents want and the elements babies need for proper health and growth. 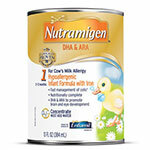 Order today and give your baby the best nutritional start possible with this trusted brand. Here at ADW Diabetes, we are committed to delivering an outstanding customer service experience from start to finish. If you have any questions while shopping with us, please reach out for assistance. We are always happy to assist our valued customers in any way.